The services of Holy Family Memorial’s Pastoral Care staff are available to all those receiving care within HFM’s health network. 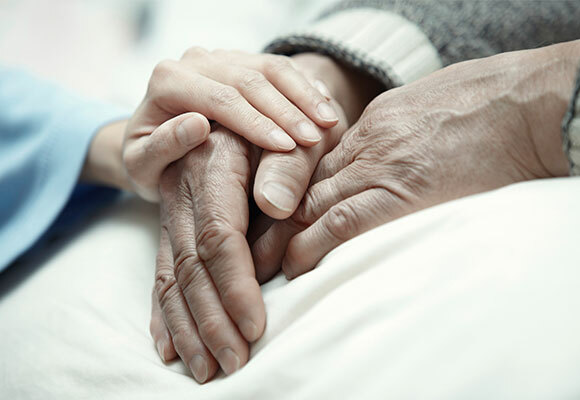 Providing spiritual care and emotional support in times of illness, suffering and crisis, the Pastoral Care staff helps people participate more fully in the healing love of Jesus. They minister with compassionate concern, respectful of the dignity of each person and aware of the value of total healthcare. The Pastoral Care staff consists of both men and women who are trained and certified as chaplains. They work together with community clergy, physicians, nurses and all healthcare employees to meet the needs of patients and their families. A member of Holy Family Memorial’s Pastoral Care staff is available 24-hours a day, seven days a week. Please call the Pastoral Care office at (920) 320-2347 or (920) 320-2317 during regular business hours (M-F); on weekends or after hours, please call the main switchboard and ask for the on-call chaplain. Pre-hospital Do Not Resuscitate (DNR) and resuscitation. Withholding/withdrawal of life sustaining procedures. Concerns in your life today. Holy Family Memorial’s chapel is open at all times for private prayer. Access to the chapel, located on the second floor of the Western Avenue campus, can be gained by using the west elevators. Patients are welcome to attend services with the permission of their physician. Holy Communion for Catholic patients is available daily. Communion for Protestant patients can be arranged through the Pastoral Care staff. They will assist in contacting the specific pastor of one’s faith community. Reconciliation (Confession) and Anointing of the Sick is available on request.